The family of L002 lamps expands; the hanging version is joined by the floor lamp and by the arch shape one. The L002ST floor lamp has a personality, that differs from the rest of the family; a thin column that holds an important goblet that diffuses light upwards. It’s extremely elegant with the white or black version. 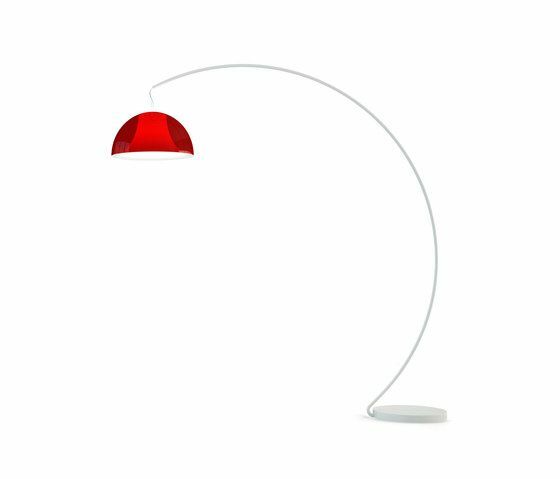 L002T arch shape model has all colours op tions available and with its soft lines it al ways looks a different lamp.The family of L002 lamps expands; the hanging version is joined by the floor lamp and by the arch shape one. The L002ST floor lamp has a personality, that differs from the rest of the family; a thin column that holds an important goblet that diffuses light upwards. It’s extremely elegant with the white or black version. L002T arch shape model has all colours op tions available and with its soft lines it al ways looks a different lamp.